Screen time poses a challenge for most families, but even more so during the summer when school structure falls away and many kids’ free time (good!) defaults to being filled with “zombie” electronics (bad!). Simplistic, catch-all rules ignore the reality that managing screen time is complicated. 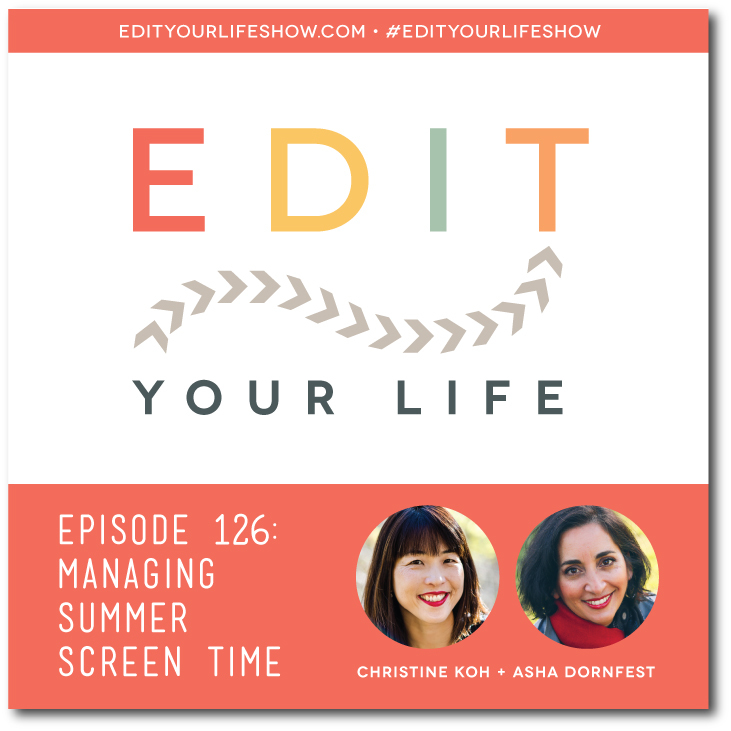 In Episode 126 of Edit Your Life, Christine and I acknowledge the complexity of our ever-changing relationship with electronics. We talk about what has worked (and what hasn’t) in our families, and offer tips and perspective on how to navigate your own family’s screen time situation. Thanks to our episode sponsor, Young Woodworkers, a great, hands-on alternative to screen time for 7-12 year-olds. Edit Your Life listeners get big savings on the first shipment. Head to youngwoodworkers.com/edit to subscribe and get a 50% discount — $9.99 plus postage and processing for the first kit (no promo code needed)! What’s your kid’s favorite non-electronic summer activity? Join the discussion on the Edit Your Life Facebook page (look for the Question Of The Week post pinned to the top of the page).